This is poignant and sad – we surely sense the distance our beloved dead have to travel in the things they left behind, in all we meant to do. Will it take every saint in the reliquary to sing them back? This is raw.. incredibly evocative and fresh with the sense of loss, hurt and tears. 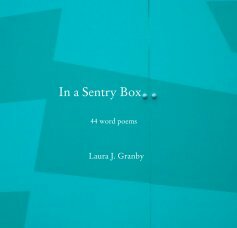 I could feel every word and line break of this beautiful poem, Laura. The blending of the tangible and eternal are so well done in this poem. Thinking of you daily, my friend. This is so beautiful. While we breathe we walk among our things and grieve for those we can no longer touch. Thank you so much for taking part in the prompt. Isn’t it curious that often it is the things we don’t do rather that those we have that trouble us later in life. When someone we love dies a part of us dies as well and we can’t stop remembering life as it was.How touching the last two lines were. This is so raw and filled with the mood of all saints. The mood of London makes me think of Dickens while the longing for the closeness of a grave is so strong. We all seem to go with Dylan Thomas today. I lost a beloved family member last week, your words touched me deeply. Richard Burton’s reading is just wonderful – he always did justice to Dylan Thomas’s words. Your poem is a beautiful tribute, Laura, to Martin and to one of my favourite poets. I admit it made me tearful, especially the references to ‘belongings left in plain sight’and ‘duck down has settled flat’. It doesn’t take much, does it? As a born Londoner, with a sister living in Kent, I followed the wistful undertow of Thames to ‘the church we always meant to visit and never went’. Burton’s rendition is so beautiful and grand. The church at All Hallows on the Hoo Peninsula is now high priority and am happy that almost the last memories of Martin are of a wonderful weeks holiday on the Kent coast at the end of September – As Londoner you will know how much the east born are drawn further east!